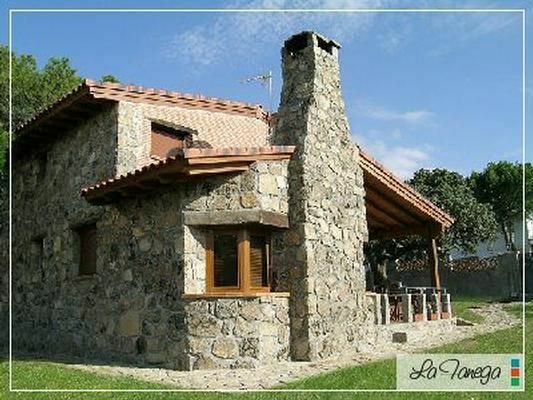 The Fanega is a rural house in a residential single family to 25 km. Avila, small and quiet. The house consists of 4 rooms. 8 people, 2 bathrooms, fully equipped kitchen and great room 43.97 m2 on 2 levels, low stone walls and fireplace, with its covering independent and intermediate lounge area. The plot is 900 m2 fully landscaped, has barbecue and swimming pool 10 x 5 feet, lit. - Sauna: per person and day Costs amounting to 12 EUR (optional).